The free MKV codec pack is basically designed to offer the users compatibility with different types of media files without any requirement to install additional software programs. One of the most attractive features of this codec pack is that it allows the users to choose components accordingly. However this software kit may include additional tools which can cause alterations in the computer. After the installation process users can easily play files through the media player with the help of DVDs and VCDs. The installation process is quite simple and it includes two modes- simple and complex. The set up kit included in the free MKV codec includes options to change the default search engine and the home page of the system. 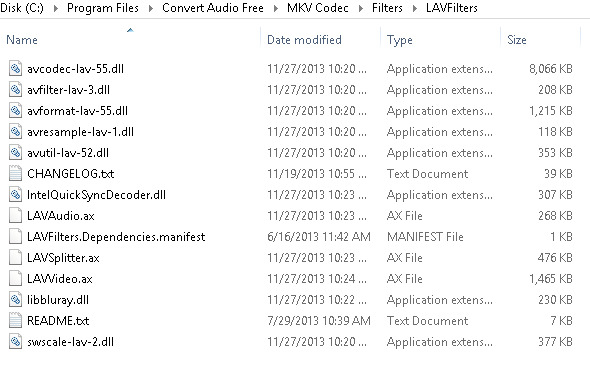 The codec pack offers users the ability to configure files from the installer. This media player can be used for different types of files effortlessly. The MKV codec pack is a simple and easy to use program with a helpful codec collection which performs its task perfectly. This codec pack charges the Windows Media player by supporting various video and audio formats. It is a comprehensive pack that supports different types of formats. The program allows the users to change the settings compression surround sound so as to match the media player. The program supports various resolutions such as Standard Definition (SD) and High Definition (HD). With the use of this software pack there is hardly any need to download a new media player. The codec package includes additional compatibility option which is another useful feature of this software program. 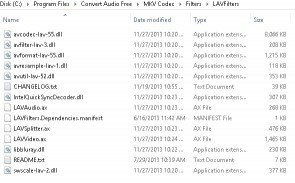 The MKV codec is a free and easy to install package with codecs splitters and filters to play back music files and movies easily. This codec pack is easy to comprehend and use.